Home Campaigns Bots are slowly taking over Social Media? Have now been encroached upon by our machines having intelligence that equals or surpasses ours? The world that dreamers have imagined where machines equal human beings in terms of common sense and emotional intelligence is slowly becoming a reality. A simple computer is said to be able to perform 1,000,000 calculations in a second. Now imagine that computer having the same level of common intelligence as that of a human. How surreal would that thought be? But that thought is no longer a by-product of our imagination as it is slowly and steadily turning into a reality. In a variety of different spectrums that were once dominated by us humans, have now been encroached upon by our machines having intelligence that equals or surpasses ours. Social media is one of the many aspects that have been overrun by artificial intelligence. With profiles and users run by pre-programmed chat bots and not humans, can anyone tell the difference between the two anymore? Think of this situation, you are browsing through Facebook and come across a delightful person who is an absolute joy to chat with. You both quickly become fast friends and share ideas. But after a while you begin to develop doubts about this person, and after an investigation, you find out that the person is neither male, nor female, nor otherwise, but rather a digitally coded construct masquerading as a person – an artificially intelligent program. So an AI or an artificially intelligent computer program was able to make you believe that it was a real person and you thought that it actually was. Isn’t that scary and amazing at the same time? This is how advanced AI is today. Being programmed to respond to any and every human conversation, these chat bots easily fill in as a real human making them a perfect substitute for a human on a social media site. Is artificial intelligence really taking over social media? The internet has taken over almost every aspect of our lives. From ordering food, to purchasing a car, sending and reply to a message, internet has eased our lives. But now, the internet is in the process of being run by automated bots that we ourselves have engineered and programmed. When performing the above-mentioned tasks, we can provide machines – our automated slaves to do them for us. As cited above, we are often misled into thinking that the person we are communicating with is an actual person, but in fact it is a chat bot pre-programmed to react to every dialogue we try to initiate. 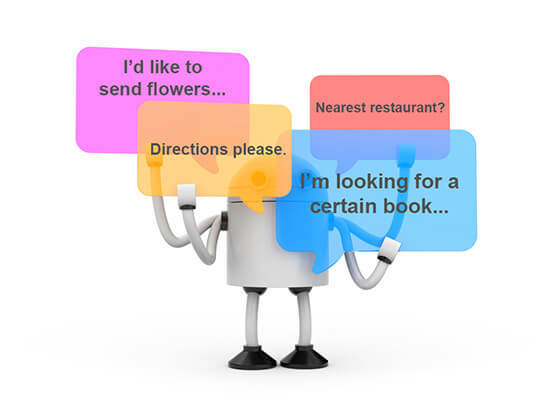 Some chat bots are even programmed to learn from various human chat interactions and respond accordingly. Think ‘The Terminator’ with the neural processor sans the mission objective to kill. Search engine bots are programmed to efficiently retrieve various user required information from different search engines and websites. With enhanced AI, they record a user’s likes and preferences, such that they always display the exact information. So whenever you are see advertisements for popping up in your social media page, all related to whatever you like, know your friend/unfriendly neighbor search engine bot is there making it happen. While not directly responsible for writing content or generating posts, they add to the view count. Any YouTube video or a Twitch stream is said to rely almost entirely on viewers. But what if it is not sufficient? That is where view bots can be used to further enhance the count. Highly advanced AI driven view bots can even multiply the view or the stream count, while subsequently evading view bot elimination mechanisms employed by the sites. Sometimes, a point has to be forcefully introduced to get a point across. This is where spam bots come into play. It could be an advertisement or a political message; a spam bot will keep sending you the message in your social media inbox. While declared illegal and social media sites have always been tracking and eliminating them, highly advanced spam bots are noted to find ways of going under the radar and working non-stop in their never-ending purpose. With AI this advanced and highly developed, who knows when we will only be coming across bots in social media instead of real humans. Are we prepared for Artificial Intelligence this advanced and developed? Only time can tell.